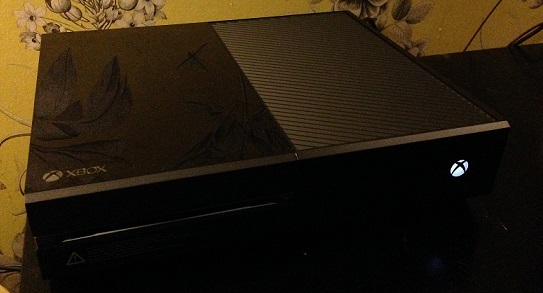 If you follow our tweets, you might have noticed that I picked up an Xbox One about 2 weeks ago. Now that I have had some time to play it, and I’m back from my holiday. I wanted to write up what I thought about it. I will break it down by Console, Kinect, and Controller. Its big, but it still looks good. So the Console itself, I fired it up, and watched with excitement as the little X started to glow. My very first thought was that it was super quiet, you can barely hear it. First order was to download the day one update that you must perform when first starting the console up. I’ve heard a few people say that it takes a while, others say only a few minutes. For me the update took about 2 minutes. Off to a good start I thought. Once the update was done, and I had set the console up with my profile and the Kinect sensor. (Which in total must have taken about 10-15 minutes for all of it.) It was time to get to know my new surroundings. Friends lists have also changed a bit now, and it takes a little getting used to. There is no notification for when a friend comes online, something I find very puzzling! Why would they take that out? Finding out who is online takes longer than it should, but once you get used to where to go, or if you use voice commands, it’s pretty straight forward. I’m sure they will bring back the notification for friends coming online pretty soon, as there are quite a few people grumbling about it. Games now have to installed to the hard drive. Now I have Battlefield 4, Ryse and Killer Instinct. Firstly I installed BF4 it took about 10 minutes before I was able to play the first mission. Then whilst I was playing the first mission, the rest of the single player campaign installed, but multiplayer took a little while longer. To be honest I didn’t really notice. By the time I was done sampling the single player, the multiplayer was ready to go. Ryse however, took ages. Whether this was due to my internet (I bought it digitally) or whether it just takes ages I’m not sure. But it was a good hour and a half before I was able to play it, and that still wasn’t fully installed. I know that when I download games from Steam it can also take me this amount of time for some games before I can play them. I have also heard about issues with party chats, and that it doesn’t seem to work very well across different games. But I haven’t actually tried that yet. So far though I’m pleased with the console, its just getting used to it. The minor problems I have noticed i.e. the friends notifications, can all be patched back in, and I’m sure they will be. Now I had the Kinect sensor for the 360, but didn’t really use it all that much and ended up selling it about 6 months after I got it. I don’t think it helped that some developers didn’t really embrace it to the extent they maybe could have, or maybe it was the technology that hampered it? This is partly why I think Microsoft haven’t made a bundle without the sensor, which I know has annoyed a fair amount of people. But if they want it to be a success, then I guess this is the best way to make sure of that. I was optimistic that Kinect 2.0 would be an improvement and that it would be a lot more worthwhile on the Xbox One. It was a doddle to set up, and since then I have used it a fair amount. It really helps with navigation around the menus. And so far the use of it in games has been decent, like ordering troops around in BF4 and Ryse. It’s not over the top, it’s not forced on you, but it’s there if you want it. Plus walking in to my front room and saying ‘Xbox On’ IS cool. I would say that it works 95% of the time when using the voice commands. The hardest part is remembering what to say, and in what order. You just have to make sure you speak clearly, and not to quickly. I have tested out a couple of times how well it recognises me by doing things like half covering my face, then seeing how long it takes to sign me in once it can see me properly. It only takes a few seconds, so is really responsive to this. All in all I have been pretty impressed with it so far, and do feel like I will use it a lot more than the previous iteration. I just hope that developers will add little features to games, which will help to enhance the experience and not hamper it. I think as long as it remains optional, people will slowly get more ‘on board’ with it. The controller for the 360 was pretty much perfection to me. If someone had asked me what I would want to change about it, I don’t really think I would’ve been able to come up with much. So with that in mind, I was a little bit scared about using the One controller, as I know it had changed, but also that it hadn’t changed that dramatically. My first impression of it when picking it up, was that it felt great, and it felt like the 360 controller. The triggers felt really nice, and the d-pad was so much better. I was happy so far. But once I got using it in Battlefield, I started to notice the differences a little more. The shoulder buttons feel a lot different and when I was first using it, I was finding it a little awkward to press them, and sometimes thought I was pressing them when actually I wasn’t. But now I’ve gotten used to it and have adjusted to the changes, I really like it. I would probably say that the 360 controller is still a bit better, but it’s a close contest. Oh, it also doesn’t help that my controller is broken. Well something inside it is broken. It still works, but there is something which rattles around and sometimes get stuck under some of the buttons and sticks. But I will just take it back and change it for one that isn’t broken. Xbox One has been designed to be an ‘All in one’ entertainment system, with Blu-ray now included, TV being added to it (which I haven’t tried), and apps like Netflix, Lovefilm, Internet Explorer etc… Its not there yet, but you can certainly see the signs of what they want to achieve. Will it reach that status? I don’t know. In reality, a games console is about the games first and foremost, a lot of people think Microsoft have ignored this to an extent, but there are a lot of great games due to come out over the next 12 months, and I don’t feel like its moving away from its ‘games console’ heritage, but more so embracing other ventures to help support the games. 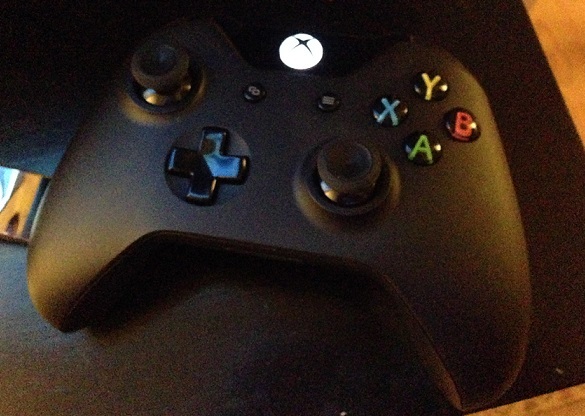 So far I’m very happy with what the Xbox One has to to offer. It’s certainly not without its flaws, but most of them, for me, are cosmetic and could be changed with a patch or two. Having played the PS4 before hand, I feel like I made the right choice. I liked the PS4, and would actually like to get one as well. But at the moment couldn’t afford both, and the Xbox One was a priority for me. Maybe its just a familiarity thing with having the 360 and not a pS3? If you aren’t sure about which console you want to get. I think it comes down to a few things. Which exclusives do you prefer the look of? And will you make use of the Kinect? 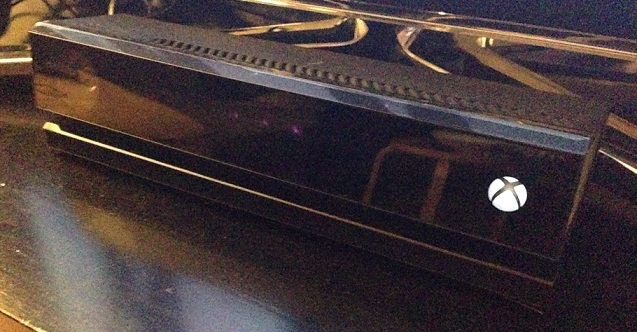 If you don’t think you will use the Kinect, then the PS4 may be the way to go. But if you have an Xbox One and don’t use it, then I really think you are missing out, and aren’t utilising the console properly, after all it was designed with the Kinect in mind! Its not all about waving your arms around any more, in fact I’ve done none of that. From what I have seen so far of both consoles, and what I have read about both, the differences between the them aren’t really all that great. It’s just personal preference. And personally, I prefer Xbox One right now. Oh also the PS4 is obviously a fair bit cheaper, so that could be a deciding factor. Anyway, which ever console you get, I’m sure you will agree, this generation of gaming looks like it’s going to be great! So I wanted to try out the game DVR, and just so happened to come across this pretty random event in Ryse, where 2 dead bodies were either dancing or wrestling. ‘Xbox Record that’ was all I said, and it was done. In to the DVR app, a quick trim of the video, and it was uploaded to the Sky Drive within about 2 minutes. All very easy to use. YouTube integration isn’t quite there yet. So at the moment you need to download the video to your computer and then upload it to YouTube.